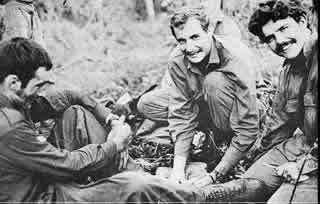 CPL Wayne "Shorty" Langford (far right) attends to a member of 4 RAR in Vietnam. During Ancient times if a soldier was wounded, he laid in the field where he had fallen. There was no one to come to his aid. Napoleon's Army was the first to assign people to help the wounded. They were called the litter-bearers, made up mostly of inept and expendable soldiers. The American Colonel Army lead by George Washington, also had litter-bearers during the Revolutionary War. In 1862, due to the unexpected size of casualty lists during the battle of Manassas where it took one week to remove the wounded from the battlefield, Dr. Jonathan Letterman, Head of Medical Services of the Army of the Potomac, revamped the Army Medical Corps. His contribution included staffing and training men to operate horse teams and wagons to pick up wounded soldiers from the field and to bring them back to field dressing stations for initial treatment. This was our Nation's first Ambulance Cops. Dr. Letterman also developed the 3 tiered evacuation system which is still used today. Large Hospital - Away from the battlefield. For patients' prolonged treatment. Dr. Letterman's transportation system proved successful. In the battle of Antietam, which was a 12 hour engagement and the bloodiest one day battle in the entire Civil War, the ambulance system was was able to remove all the wounded from the field in 24 hours. Dr. Jonathan Letterman is known today as the Father of Modern Battlefield Medicine. Unfortunately, amputation was the primary method of treatment for wounds to extremities during the Civil War with over 50,000 resulting amputees. During the Spanish American War in the 1890's Nicholas Sin stated: Fate of the wounded soldier is determined by the hand which applies the dressing. Field dressings are now applied by litter-bearers in the field. World War I required millions of casualties to be treated at the front. Unlike previous wars, battles did not stop to retrieve the wounded or the dead. World War I saw, for the first time, medics rushing forward with the troops, finding the wounded, stopping their bleeding and bringing the wounded soldier to the aid station. In World War I medics were no longer expendable and were well trained. After World War I, Military Medicine advanced. Training became a priority both in fighting and medical care. Medics were trained along side infantry soldiers, learning how to use the lay of the land for their protection and that of their patients. Medics were also trained in the use of pressure dressings, plasma IV's, tracheotomy, splints, and administering drugs. During World War II a wounded soldier had an 85% chance of surviving if he was treated by a medic within the first hour. This figure was three times higher than World War I survival statistics. The red cross worn by medics on their helmet and arm bands became visible targets for enemy snipers during World War II and Korea. Korea saw the advent of the helicopter being used to bring men from the front lines to M*A*S*H units (Mobile Army Surgical Hospital). 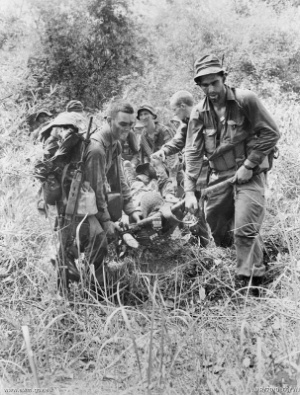 In Vietnam, the medic's job was to treat and evacuate. Medevac helicopters now could bring medics on board to continue treating the wounded while transporting them back to the Field Hospitals. There was a 98% survival rate for soldiers who were evacuated within the first hour. 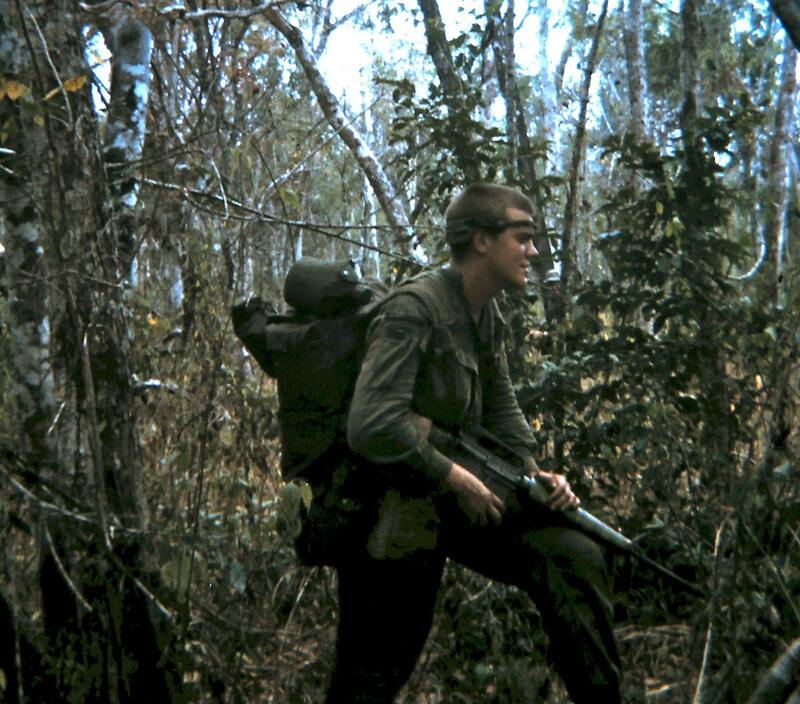 Vietnam was the first time medics were armed and carried firearms and grenades into combat. Red crosses on helmets and arm bands were no longer worn.